WE ARE THE MOST VERSATILE WATER AND WASTEWATER FITTINGS PRODUCER IN NORTH AMERICA. Metalfit initially started as a producer of AWWA C110 Flanged Fittings in 1990 at a small machining facility in a suburb of Monterrey, Mexico with only a handful of employees. Encouraged by the successful diplomatic negotiations, which began in 1991 between the three NAFTA partner countries, and the subsequent signing of the agreement in December of 1992, Metalfit's ownership decided to invest in a vastly larger foundry and machining center not far from the original Monterrey area site. This facility began production in both gray and ductile iron in 1995 after the NAFTA agreement became operational. 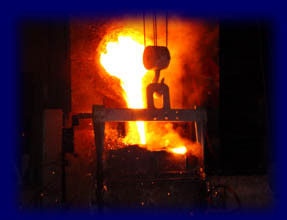 Ductile Iron castings in sizes ranging from 100 to 5,000 pounds net represent approximately 95% of our casting volume. Over the course of that twenty year period Metalfit has become not only the most versatile ductile iron AWWA fittings producer in North America, but also a leading Mexican producer of custom engineered castings and fully machined casting components. Our current list of strategic supply chain partners includes American Cast Iron Pipe Company, John Deere, U.S. Pipe Co., Mueller Water Products, ITT Bell & Gossett, Griffin Pipe Products, Rexnord, Henry Pratt to name a few. Thank you for visiting our web site and please let us know if we can be of service to you.